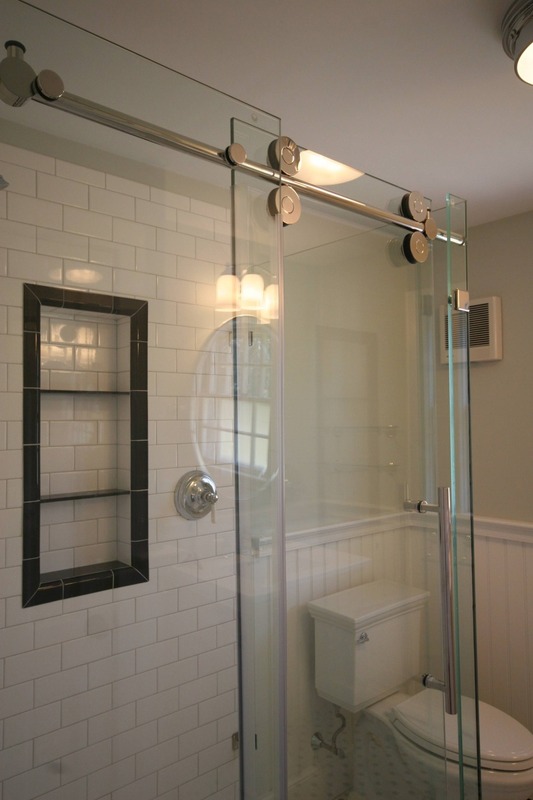 Falmouth Black and White Bathroom Remodel. Complete transformation of this cramped and outdated bath resulted in a delightfully cool, classic bathroom that fit perfectly within the original home built in 1935. We took this tight bathroom and shifted one wall 8" into the adjacent bedroom which allowed for a roomy 48x36 shower with a heavy duty rolling door. This allowed more room for the toilet which previously had barely any elbow room. 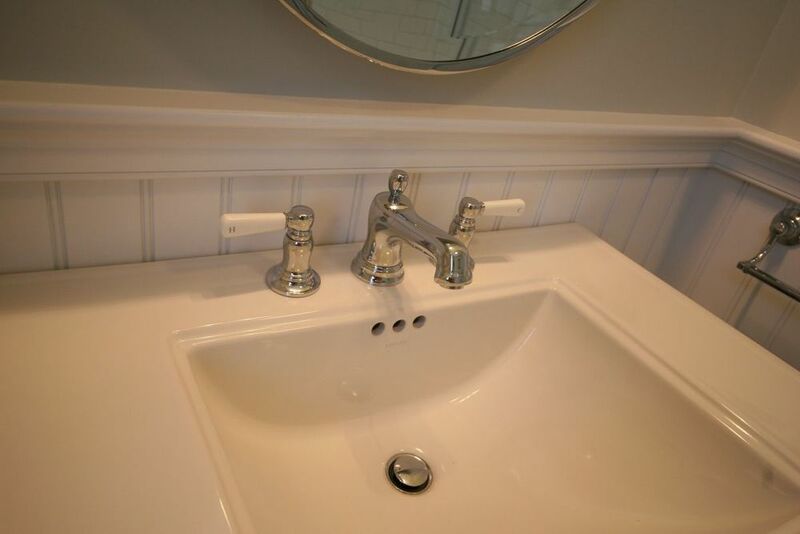 The Nantucket Beadboard gave the overall bathroom a elegant look and was capped by 3 piece custom molding. 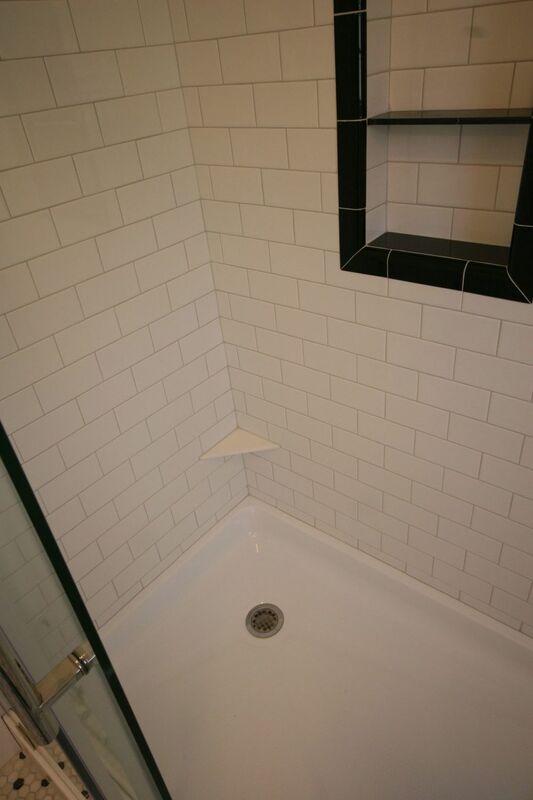 The floor tile is a thick white marble hexagon tile with black accents. My favorite feature of this bathroom was the shower alcove that was quite labor intensive to build and yet resulted in a stunning look! To complete this makeover, we also fully painted out the master bedroom (which had multiple windows and doors) and refinished the oak flooring creating a lovely master suite.